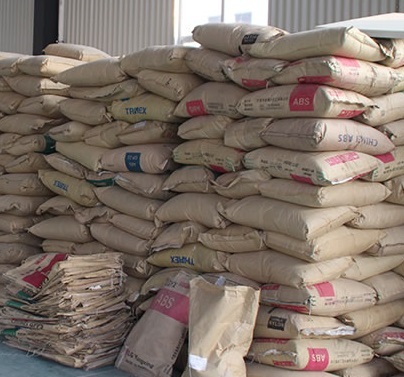 A raw material, also known as a feedstock, unprocessed material, or primary commodity, is a basic material that is used to produce goods, finished products, energy, or intermediate materials which are feedstock for future finished products. As feedstock, the term connotes these materials are bottleneck assets and are highly important with regard to producing other products. An example of this is crude oil, which is a raw material and a feedstock used in the production of industrial chemicals, fuels, plastics, and pharmaceutical goods; lumber is a raw material used to produce a variety of products including all types of furniture. Metallic raw material production follows the processes such as crushing, roasting, magnetic separation, flotation, and leaching (at the first step), smelting and alloying (at the second step). Places with plentiful raw materials and little economic development often show a phenomenon, known as "Dutch disease" or the "resource curse", that occurs when the economy of a country is mainly based upon its exports due to its method of governance. An example of this is the Democratic Republic of Congo as it is rich in raw materials; the Second Congo War focused on controlling these raw materials. Raw materials are also used by non-humans, such as birds using found objects and twigs to create nests.